We have exciting news for Bitcoin and Ethereum gambling fans. One of the first Bitcoin-powered casinos, Bitcasino signed an exclusive deal with the gaming provider GameArt. According to the details of this deal, GameArt will grant Bitcasino to feature GameArt’s Joan of Arc slot one week ahead of the game’s official release. As Bitcasino is continually looking for new ways to expand their user base, this deal might be just the thing this bitcoin casino needs. So, if you visit the GameArt website, you’ll see that the gaming provider features the Joan of Arc slot under the Coming Soon category. If you, on the other hand, visit Bitcasino.io, you’ll see the option to play GameArt’s newest slot. Bitcasino already has an extensive game collection that features games from game developers such as NetEnt, Asia Gaming, Quickfire, etc. Thanks to the latest deal with GameArt, Bitcasino now adds another game to their offering, the Joan of Arc slot. Joan of Arc is a five-reel, three-row slot with 243 ways to win. The Joan of Arc is the scatter symbol, and landing three of these trigger ten free spins. The flag belonging to the famous French heroine is the Wild symbol. The Joan of Arc slot also has the Expand and Split feature, whereas the minimum bet is 0.01. If you visit Bitcasino’s Trending or New games sections, you’ll easily find GameArt’s most recent slot release. “Gameart’s brand new title is their best yet, and their fans are sure to be excited by the prospect of immersing themselves into the world of an iconic historical heroine,” said Bitcasino’s Tauri Tiitsaar. 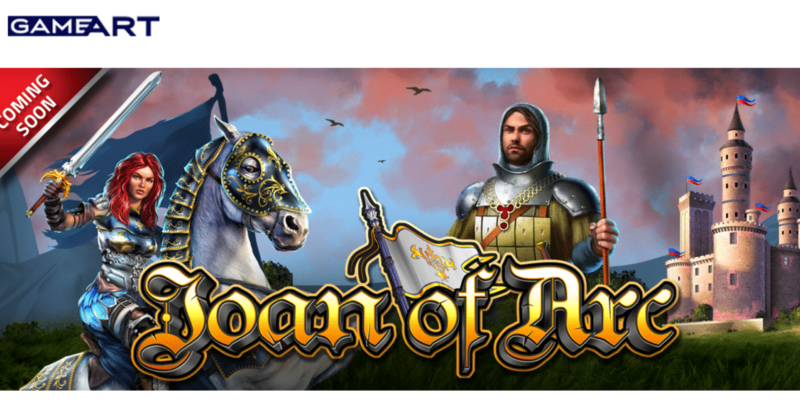 The Joan of Arc slot went live today on Bitcasino. You can play the game in the Fun mode without wagering any money on the slot.